Change the name text yourself from the comfort of your home computer only use Adobe Reader and print. These cute labels come in two sizes, 2 inches, and 2.5 inches. You can make them round or cut them square simply, you decide. You can print it on sticker paper or use white cardstock and you can print as many as you need. It is time to say Thank you and being grateful for your guests in your party, use these amazing tags to do so. You are ordering a High Resolution 300dpi image Editable PDF format ready to be print. You can print in 8,5″ x 11″ Cardstock or Sticker paper. You will get 12 (2.0 inch) round or square tags on a page for easy printing. Also, you will get a page with 9 (2.5 inches) tags and a page with matching paper for your crafts. For Round Tags or Stickers: You can cut using a 2.0-inch craft puncher or use the compatible Avery products/templates: Print-to-the-Edge Round Labels, 12 per sheet 22807, 22817, 22825, 41464, 41494, 22923, 22933. Print your favor tags either at home or at any local or online printing companies (such as Office Depot or Staples). For square 2.15 inches tags, just print and cut with scissors. 4. You can edit the Labels! – No physical items are shipped from this shop. ALL ITEMS ARE DIGITAL. 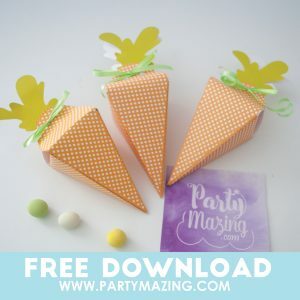 Bring your scissors and some ribbon, today we are going to make a cute Printable Carrot Box using a Free download that I have for you. It will be a really cute project to make with the kids. You can use this box for your Easter party favors or for a cute party. 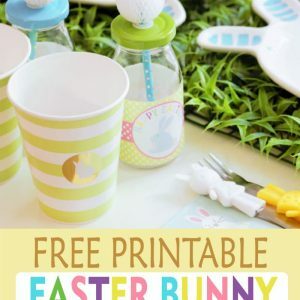 Get your bunny ears and start printing the party decor. You can make amazing decorations with these labels. You can print them to wrap your water bottles, your candles or just for bubble soap bottles. Each label is 2 inches tall by 10.5 inches wide. *Print as many labels as you need. * You will get 3 different color designs in a letter size paper ready to print. 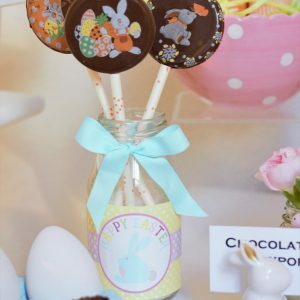 Some-bunny like you can make the most amazing easter gifts using these tags for the Egg hunt or some cute little gifts for the kids. 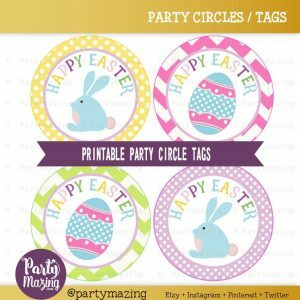 Create a Partymazing little gift for your Easter party guests using this easy to use this tag, you can also print them as stickers in sticker paper. Your printable files will come in PDF format to print on 8.5 x 11 sheets.